ABSTRACT: The French government has instigated an ambitious renovation programme aimed at the thermal insulation of existing housing stock to combat climate change and cut CO2 emissions. 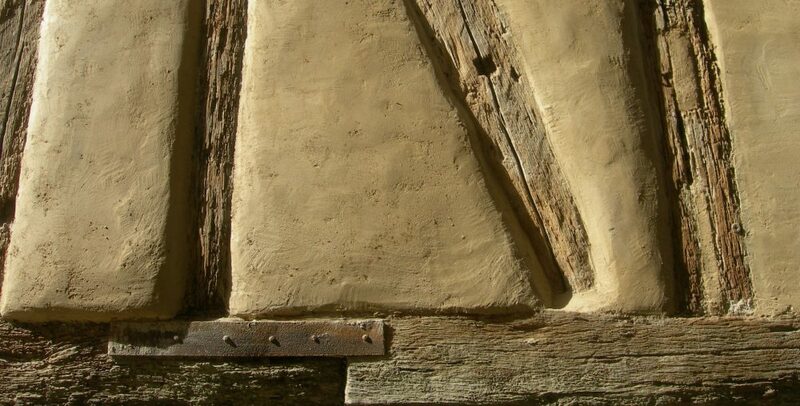 This will have a considerable effect on the renovation of period timber-frame houses, a rich architectural heritage in France. This study assesses the environmental impact of thermal insulation of exterior timber-frame walls in vernacular timber-frame buildings with brick or daub infill. The 20 wall types studied are based on the outcome of interviews with builders and building experts. A French building assessment tool, Cocon, is used to calculate embodied energy (EE), embodied carbon (EC) and thermal performance for each wall type. ‘Conventional’ wall types with interior insulation – often mineral wool and plasterboard – generally have the worst overall scores. The highest scores are for wall types with exterior insulation, which make better use of thermal mass. Wall types with interior insulation of plant fibre and binder (e.g. earth/straw) also show good results. Although there is a general lack of technical information on environmental building materials, there is growing evidence that natural and breathable materials are better for the environment, the historic building and the occupant.